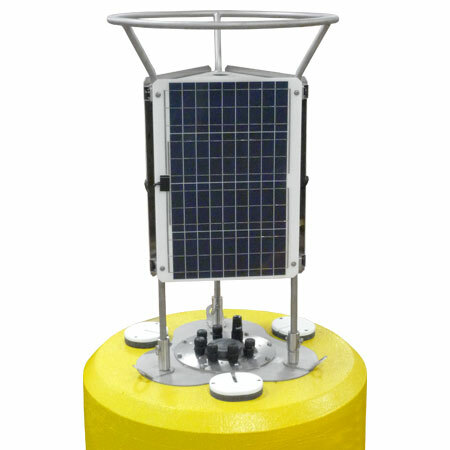 X2-CB Buoy-Mounted Data Logger - NexSens Technology Inc.
A smartphone, tablet, or laptop connects by Wi-Fi to access sensor data and view or change settings. No application-specific hardware or software is required. Works within an existing Wi-Fi network or as a direct link from the X2-CB to the device. All connections are made with a simple waterproof thread-in connector. 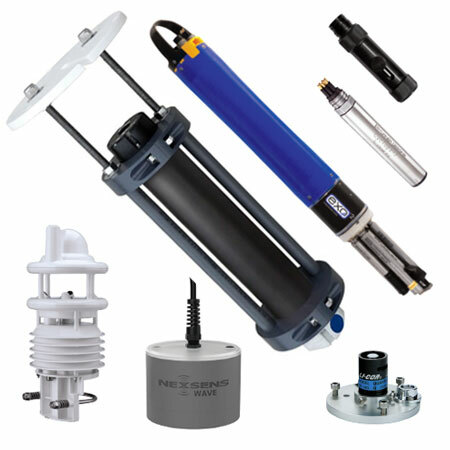 This removes the complications and errors associated with connecting individual wires. 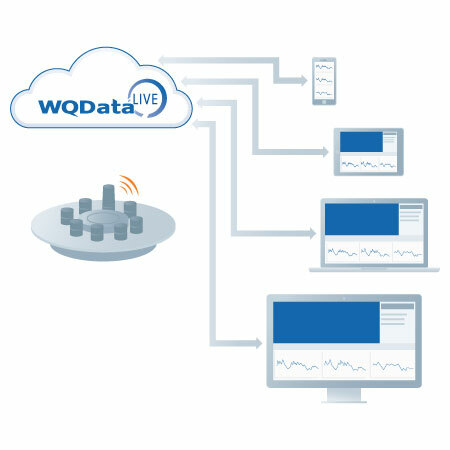 When communicating within a Wi-Fi network or connecting via remote telemetry, measurement data streams directly to the WQData LIVE web datacenter. Wi-Fi provides short range and local connectivity. Remote options include radio, cellular, and satellite communications. 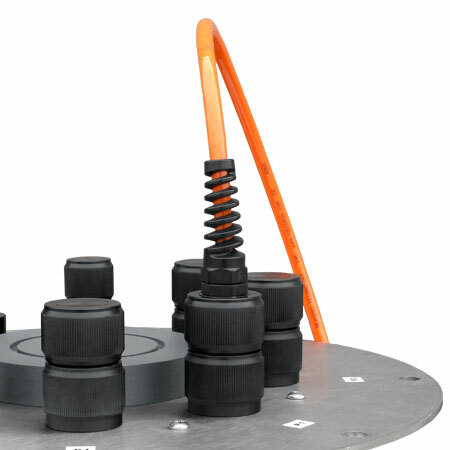 SensorBUS technology incorporates industry standard SDI-12, RS-485 and RS232 interfaces in a single watertight cable. 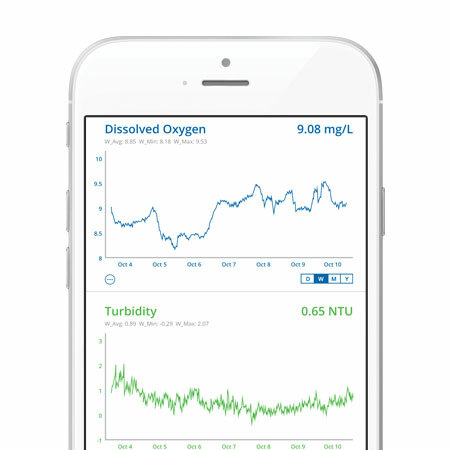 Smart sensors are available for most environmental measurements. 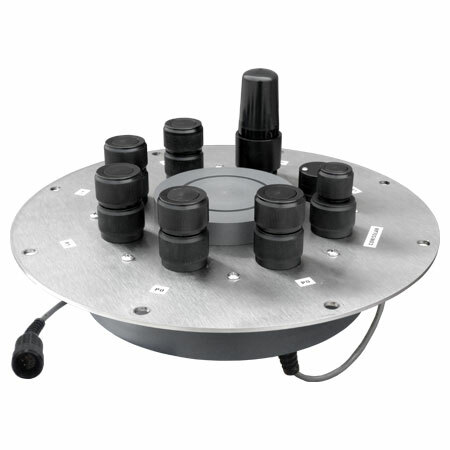 The X2-CB is sealed in a watertight PVC enclosure mounted directly to the bottom of a NexSens CB-Series buoy's 316 stainless steel data well top plate. 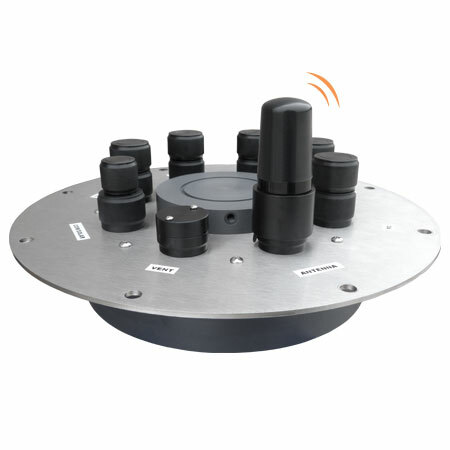 With (5) integrated sensor ports, a vent, an antenna port, and a communication/power port, the X2-CB provides ultimate flexibility and ease of access to all connections.